Learning a musical instrument is one of those things that many people put on their to-do list, but never actually get around to, y’know, doing. This weekend, though, is the time to put that right, as Learn To Play Day sweeps across the UK. This misnomered event - it takes place on both Saturday and Sunday - will see the UK’s music shops, teachers, venues and schools partnering with musical instrument brands to offer thousands of free music lessons across the country. You can find out what’s going on near you on the Learn To Play Day website, but if you can’t make it along in person or live outside of the UK, we can help. We’ve gathered together some of our most useful lessons, so whether you want to learn guitar or keyboard, there’s a lesson here to get you started. Once you've got a grip on scales, it's time to start stacking notes on top of each other. Now we're really getting compositional! 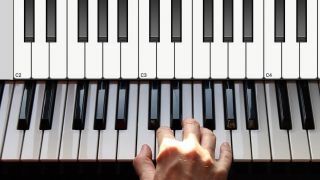 With two hands and ten fingers to consider, learning to play keyboards requires a great deal of dexterity. This exercise will help you develop yours.